When you run any MP3 song in your mobile or computer, you may have noticed that there are different kinds of details on singing as the song plays, like the name of the singer and the name of the album and the photo will also have a photo Is there. At the same time, some songs have photos on which some text is written or details about some songs. So do you even think about how it is done? So in today's post, we are going to learn this, let's learn. How to put your information and photos in any song? You can also easily do any MP3 song, whatever information and photos you have in it, you can set your photo, your name and so on. You can add your own details and photos by changing all the details in the song. To put your photo name in any MP3 song, you have to download a small software. After that, you get your name in more detail songs which are already detailed. Remove all those details and put your details. You can click here to download this software. This software is named MP3 tag. After downloading it, install it and after installing it open it. Now you can easily edit any type of music and put your photo, your name and many more details in it. To insert your photo into a song, first you have to select that folder. In which you have kept all the songs. Keep in mind here you have to select the folder. You can not select songs here one by one. Therefore, place all those songs in a folder on any song you want to put your photo on. Now open the MP3 tag software. Here I will tell you on whatever song you want to place your details. First of all, there is an earlier old detail in which the name of the singer is the album, the photo is attached, all those people will have to remove them. Only then will you be able to put your details in it. So first open the MP3 tag software for this and select from your song folder in it, to select the song folder, click on the add directory in the left side then you will be able to sing all the songs here. Now select all these songs by pressing Ctrl-A in the keyboard, and selecting the selection, remove all the previous details in the song by clicking Remove tag in the left side. Now the details of the earlier songs on this song have been removed. Now, whatever you want to put your own new details on it, such as photo name album name etc., all the details can be added to all those things. Now, once again press the Ctrl-A to select the entire song and click on the extended tag option in the right side above. Now here you will get an option to take a photo. Here you will find an option called Add Cover, by clicking on it, select the photo you want to apply on your song and click on it. After that, you can change all the details of the songs in the song here. To change all of your data according to you, you can add your details in the option given on the left side and then click on the Save option at the top of the left side. Now whatever details you had in the song like: your photo, name, the name of the album all those information has been saved on this song. 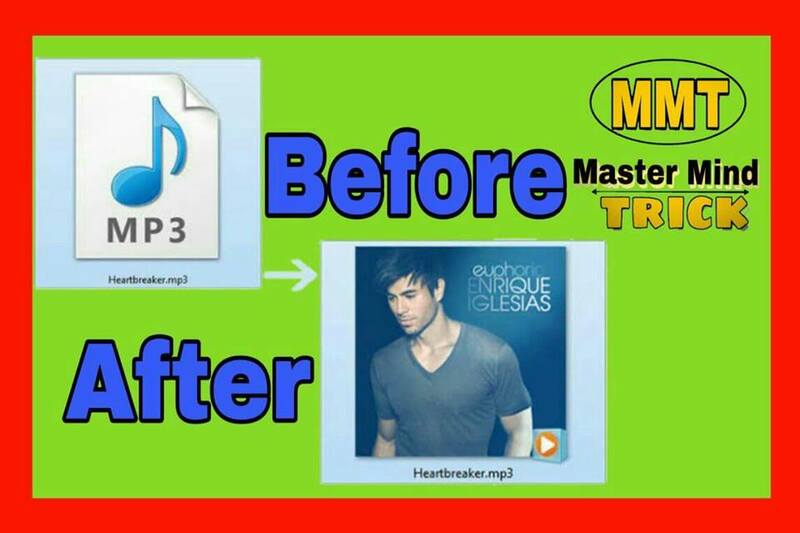 Now go to your folder and play any song and watch your new photo and detail show. So in this way, you can easily remove old photos and details on mp3 songs, edit yourself and add new photo and your name. If you like this post, then share it with your friends on Facebook Twitter Google Plus and more.